Completely renovated from the ground up in 1995 with sq/footage added, this 1923 East Sac bungalow features an awesome, eye-catching 2/BED, 2/FULL BATH little piece of paradise. Granite tile in kitchen. Low maintenance landscaping front and back. Backyard provides a soothing getaway that your green thumb will enjoy day in and day out. Boasting a brand new composite, lifetime warranted roof, new exterior tex-cote paint, new rain gutters, 3 year new water-heater, 4 year new HVAC system and beautiful, just re-finished, hardwood floors. All HVAC system ductwork just cleaned this week. Stainless steel, French door refrigerator with bottom freezer drawer stays with property. Trader Joe's, Allora Restaurant, Light Rail and RT are all within walking distance for your convenience. 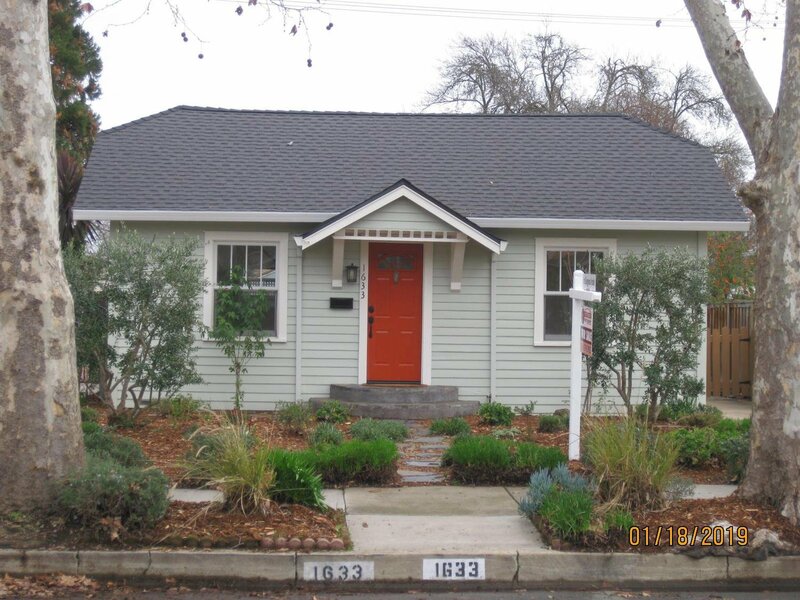 It's a must see for any of your clients looking to stake their claim in East Sacramento! Listing courtesy of Snyder Commercial Real Estate. Selling Office: Keller Williams Realty.